Mood Music sounds great. 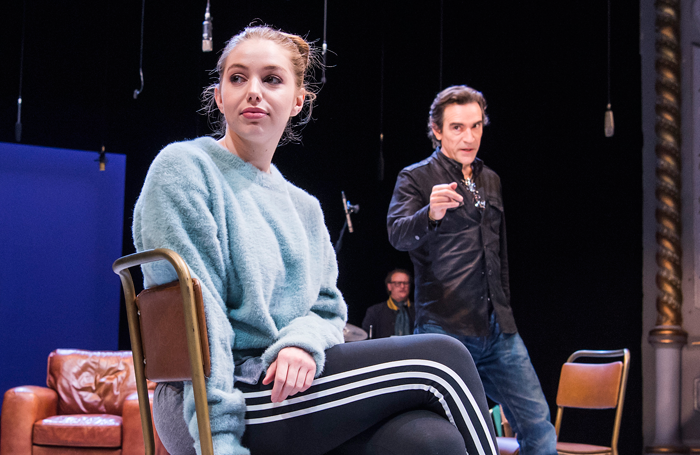 It’s directed by Roger Michell, a big-shot name in stage and screen who most recently took the reins of Nina Raine’s Consent at the National. 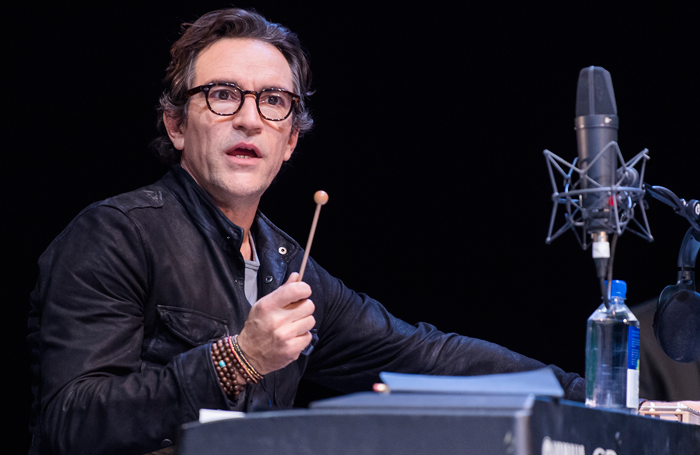 It stars the Olivier-nominated Ben Chaplin, who earned plaudits for his role in the same play, and for his TV turn in the BBC drama Apple Tree Yard. And it’s written by Joe Penhall. Penhall’s playwriting career started in the early nineties, but it was his multi-award-winning 2000 play Blue/Orange that made his name. Since then, he’s worked extensively for theatre, film and TV. He adapted Cormac McCarthy’s The Road for the big screen, he wrote the book for the smash-hit Kinks musical Sunny Afternoon and he created the binge-worthy Netflix box-set Mindhunter. Now he’s back with a new play. 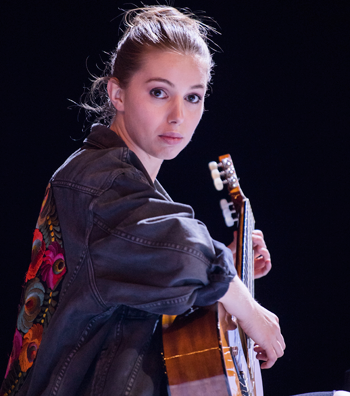 Mood Music, which is at the Old Vic until June 16, is set in the music business and sees a young female singer and an ageing ex-rockstar-turned-producer clash over a songwriting credit they both claim. But is Penhall’s new play music to the critics’ ears? Is Michell’s production note-perfect? Does Mood Music play all the right chords? With Blue/Orange, Penhall explored issues of psychology, sanity and race. With Sunny Afternoon, he penned a semi-biographical story of The Kinks’ early years. With Mood Music, he’s crafted something between the two, it seems. Mood Music is “perfectly of the moment, exploring how power and control work when it all goes wrong” according to Ann Treneman (Times, ★★★★), “a lethally funny, memorably moving, elegantly threaded play” according to Libby Purves (TheatreCat, ★★★★) and “surely a candidate for the best play of the year” according to Aleks Sierz (Arts Desk, ★★★★). Not everyone is as swept up by Mood Music, however. “The play’s reverberations die too fast,” reckons Dominic Cavendish (Telegraph, ★★★), while Henry Hitchings (Evening Standard, ★★★) thinks that “at its heart it needs more darkness and visceral conflict”. Most critics sing Mood Music’s praises, then, but a handful of critics tune out instead. It’s a similar story with Roger Michell’s staging. 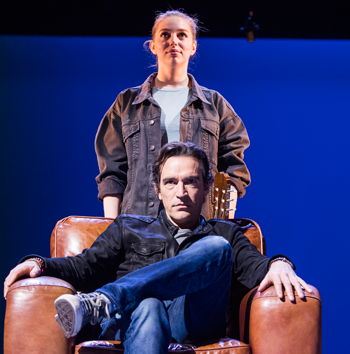 For Billington, it’s a staging that’s got “beautiful fluidity that allows the arguments between the six characters to flow back and forth”, while for Lukowski it’s “taut” and “zingy”, and for Cavendish it’s “slick”, convincingly allowing Penhall’s play to be the “fugue for human voices” the author wanted it to be. Most think Mood Music is as easy on the eyes as it is on the ears, then, but some don’t. Rhys Ifans – something of an Old Vic regular over the last few years – was slated to appear again at the venue in this show, but quit for family reasons, allowing Chaplin to step into his role as Bernard, the sneering, sardonic ex-rockstar producer. Chaplin is, for many, the best thing about this show. Chaplin takes the lion’s share of the praise, but there’s still some to go around. 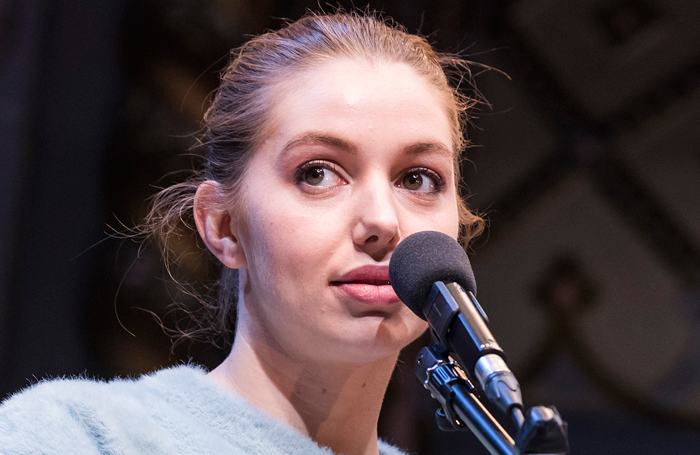 Seana Kerslake’s performance as Cat, the singer, has “a wonderful openness” according to Taylor, is a “lovely, hugely complex turn” according to Bowie-Sell, and is “convincingly teenage, and even more convincingly troubled” according to Purves. “It is, most of all, acted with spellbinding intensity,” concludes Shenton. Mood Music – Is it any good? Yep, it’s good. Some critics fall over themselves to praise Penhall’s play – Shuttleworth and Sierz in particular – and those who pick small holes in it simultaneously stress their admiration. Mood Music is a timely and savage bite at a misogynist music industry, and it’s received a compellingly fluid first production at the hands of Michell, a production that’s all the more impressive thanks to a sublime turn from Chaplin. Mostly four-star ratings with a few threes and one five suggest a show that’s not a stratospheric smash, but is still a sure-fire success. Mood Music is a tune well worth hearing.